The Internet can be used for different purposes ranging from simple Internet presence to using it for business transformation. 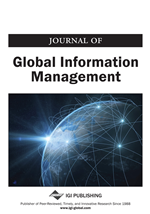 This study examines two modes of Internet adoption —basic and advanced. Questionnaires were sent to 566 firms in Singapore and 159 usable responses were received. Results suggested that firms operating in an advanced adoption mode invest more in Internet technology, had larger firm size, proactive business strategy and significantly greater perceived Internet contributions to competitive advantage than did those operating in a basic adoption mode. No significant differences were found between the two adoption modes in terms of industry sector and hierarchical level of respondents. The results provide some useful information on the relationships between adoption modes and organizational characteristics as well as the impact of adoption modes on the five dimensions of competitive advantage (namely, differentiation, cost, innovation, growth, and alliance). Implications of the results are discussed.